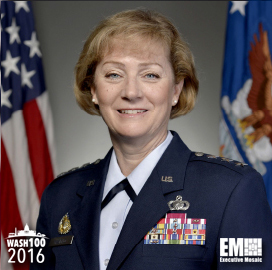 Executive Mosaic is honored to introduce U.S. Air Force Lt. Gen. Wendy Masiello, director of the Defense Contract Management Agency, as an inductee into the 2016 edition of the Wash100 — Executive Mosaic’s annual selection of influential leaders in the government contracting arena. Masiello was appointed to the director role and military rank in April 2014 with Senate confirmation in May. 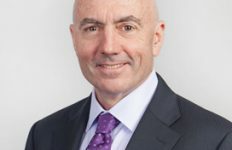 As DCMA director, the 36-year Air Force veteran oversees an agency of almost 12,000 employees that is responsible for management of contracts and more than 20,000 contractors across the Defense Department. 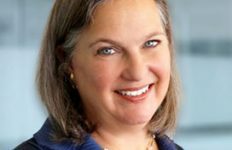 In a late January conversation with ExecutiveGov, she offered an update on DCMA’s initiative to establish a network of “Centers of Excellence” for the agency’s procurement and contracting staff to determine what constitutes as commercial items and how to help personnel gain knowledge about them. The agency is eager to get an education from industry on what is available and how to use those tools in DCMA’s operations, Masiello said. 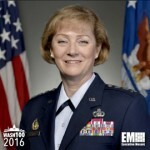 Prior to DCMA, she served as the Air Force’s deputy assistant secretary for contracting for three years and has also led programs to acquire surveillance and reconnaissance tools, weapon systems and test range equipment for the service branch. DCMA launched an effort in December 2014 to establish a commercial pricing function in support of the Pentagon’s Better Buying Power initiative and fortify supplier management strategies at the agency. 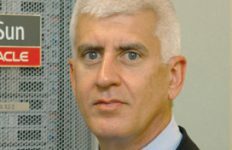 “[The] goal for standing up this capability is to help facilitate a consistent thought process about what commercial pricing really is, where it fits, and how we handle the one-offs like commercial-of-a-type,” Masiello said at the time. 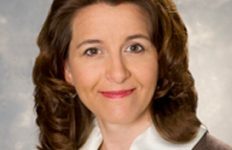 Executive Mosaic congratulates Wendy Masiello and the entire DCMA team for their selection to receive this award.